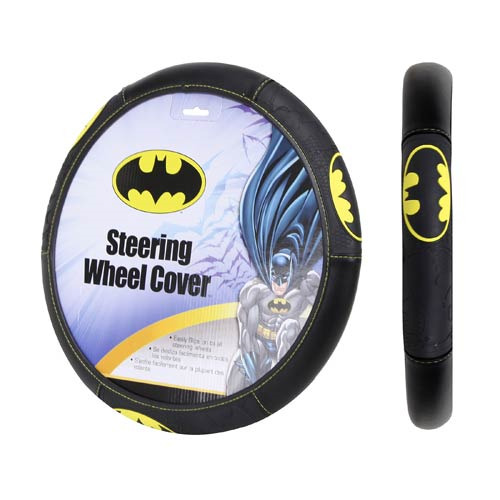 Add a custom superhero look to your Batmobile's interior and protect your hands from hot and cold extremes with this Batman Shattered Steering Wheel Cover. Embossed for durability and style, boasts a comfortable leather-like feel. The molded core stretches snuggly around the steering wheel in seconds on most cars, trucks, and boats. Measures about 15 1/2-inches x 14 1/2-inches. Ages 17 and up.